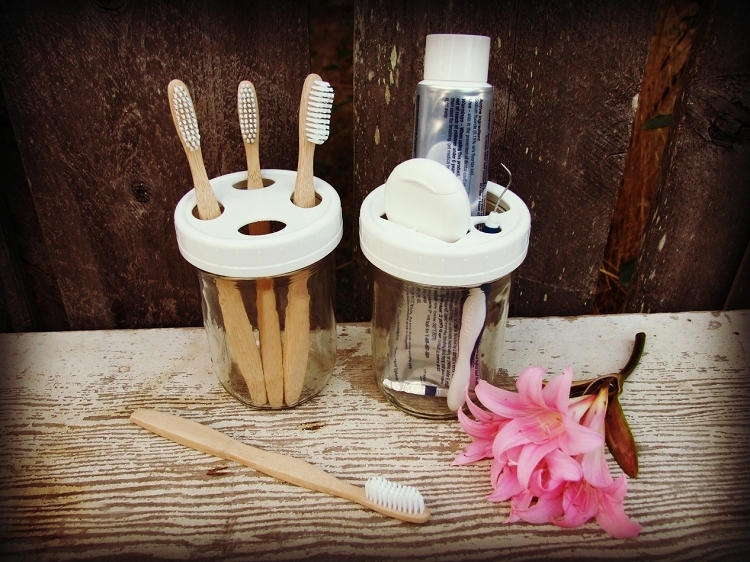 Organize all your tooth care items with these two lids. The Toothpaste Lid holds your toothpaste, floss, and a pick, so you can easily find and access all your tooth care needs in a hurry. 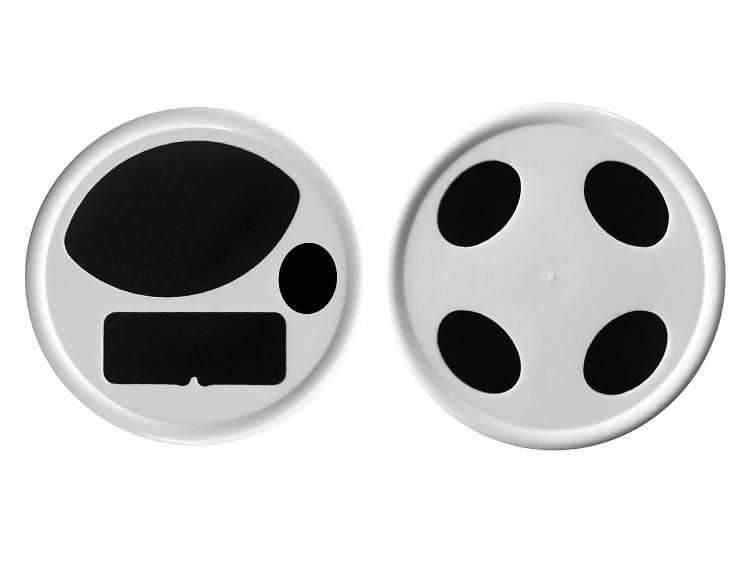 The toothpaste spot is 2.45 inches x 1.60 inches and will hold most brands of toothpaste. The floss spot is 1.85 inches x .75 inches with a unique finger feature built in to hold small floss that would otherwise fall through. 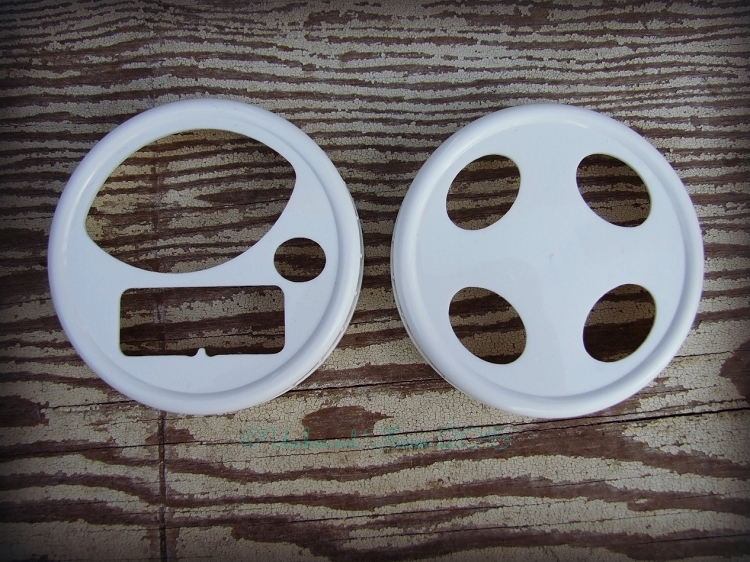 This lid will hold a variety of floss brands and sizes that are rectangular, or circular in shape. The pick spot is .65 inch x .55 inch. and will hold a dental pick, or a standard size toothbrush.